Managing the Time Change | How Do You Do It? As a mother of twins, my number one piece of advice to new MoMs is to get their babies on a schedule…the SAME schedule. It was that piece of advice that saved my sanity when my girls were infants, and I’ve continued to be very schedule-oriented since. With the clock being so central to our lives, the thought of the time change twice a year sends my stomach into knots. While I dread changing our clock every few months, [KNOCK ON WOOD!] our girls have always adjusted to the new time within a few days, and it’s never been quite as bad as I rehearsed in my mind. 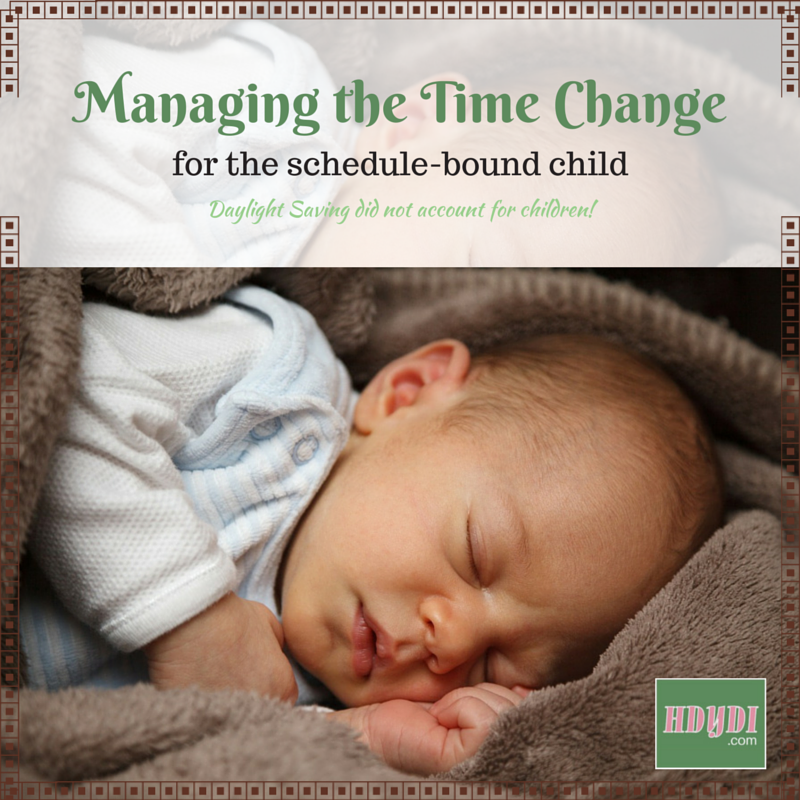 I am posting an excerpt I read from a sleep specialist, as to how to manage your children’s schedules through the time change. In the spring, the clock is moved forward an hour, so we lose an hour. For the adult and teenager, this typically means losing an hour of sleep. When we get up on Monday morning at 6am, we feel tired because our internal clock says it is 5am. It can take some individuals weeks to feel rested again in the morning. Although the time change officially takes place on a Saturday night, for the child it actually begins the next evening on Sunday. The parent should stick with the “old time” all day Sunday for the child’s nap. Then on Sunday evening, the parent should move to the “new time”. There is good news for the parents of young children who wake too early: often the younger child starts sleeping later in the morning. For the child who has been going to bed at 7pm and rising at 6am, this is the perfect opportunity for the parent to change the child’s sleep schedule if a 7am rise time is desired. The parent must be ready, however, right from the first night after the time change: The parent must consistently put the child to bed at 8pm, make the child’s room very dark, and add white noise to the room (if there is a significant noise in the home in the morning from others getting up). When a child has been going to bed at 8pm and rising at 7am, he is likely to appear wide awake on Sunday night after the time change at 8pm because his internal clock says it is only 7pm. The parent should consider allowing him to stay up until 8:45 – 9pm for 1 to 3 nights. During this time, the parent may have to awaken the child in the morning between 7 and 7:30am if the parent wants the child to start going to bed at night again by 8pm. Most children are back on schedule within 10 – 14 days if the parent is consistent. What are your tips and tricks for managing the time change? Wishing us all a smooth transition over the next week!!! This is great advice but… 10-14 days to adjust? Ugh! When I my girls were little, I’d start the transition, 15 minutes at a time, in the lead up to the actual time change. These days, though, with school schedules, that’s not really an option! I am so thankful we don’t do daylight savings here. It sounds like such a hassle. 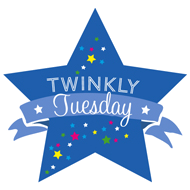 Previous Previous post: Twinfant Tuesday: Are You in Those Baby Photos?